Polaroids from earlier today (I finally brought my scanner to the apartment yesterday). i just discovered your blog and i really love it. your pictures are so inspiring. HO ! ces lupins sont magnifiques. oh, yes, aren't they? I saw tons and tons of them by the side of the road while we were driving home on saturday. couldn't resist picking a few! this is my favourite dress in the world. i would wear it everyday if that wouldnt be awkward :) love the sofa as well! jag har nog sagt det innan, men - jag tycker så himla mycket om dina bilder. som om tiden står stilla och rör sig samtidigt. So so amazing! Love colors, nice composition very impressive. Omg! 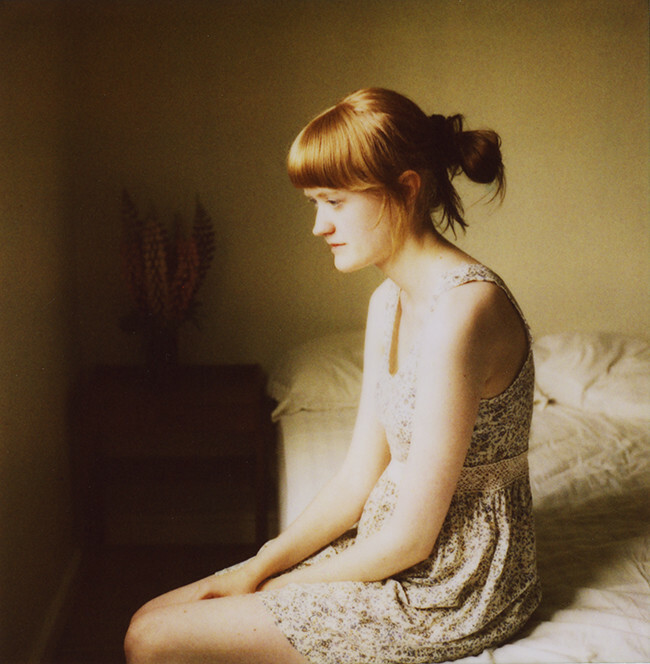 I love those dress, got so overwhelmed by its femininity. Awesome shots. Got my eye on your style now. Beautiful dress, beautiful sofa and beautiful pics as always! little story: lupins used to grow wild behind the church across the street from my house. i used to pick them and bring them to my mom, i thought they were the most beautiful flowers in the world. she told me a few years ago they would always be covered in little bugs and flies but she kept them in a vase anyways because i thought they were so pretty. Ljuset är så magiskt. Fantastiska bilder. Your pictures make me wanna run to Sweden and leave the big city to lead a calm life near the country side. I love them so muuuch! wow! i love the colors and the light in your picture. your hair looks so nice. great work! Jätte fint Annette, älskar guldtonerna i kombination med den antika soffan. Så kul att se att se inlägg från dig igen! så sjukt fint. elskar den gule sofaen og den lilla kjolen. du er så flink! I so want a poloroid camera, I use to love those when I was a kid. Of course the ones they have now I'm sure are way more high tech. I prefer the old school ones though. They've always taken great pictures. These are very pretty. Love that yellow love seat in the first pic. 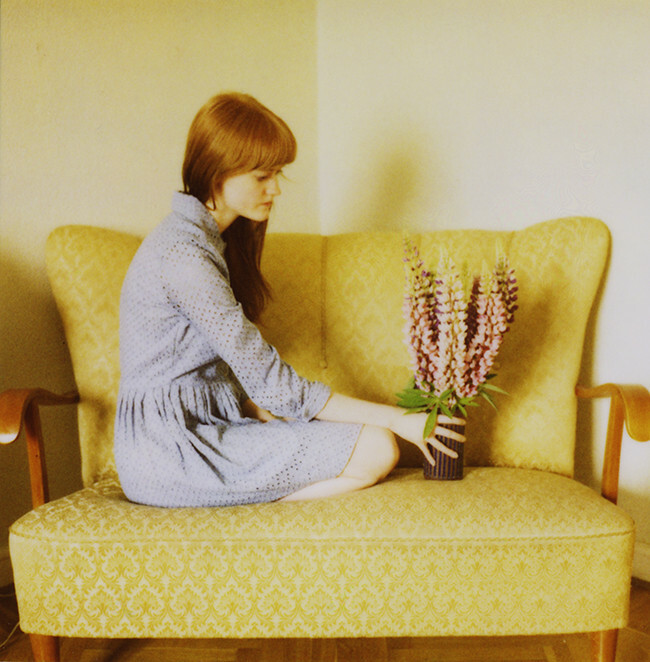 In the first photo, you and the lupins are the perfect still life. Everytime, you impresses me, EVERYTIME!